We should get a trailer for Avengers 4 at some point this month, but for now we'll have to settle for another look at the film's centerpiece character, Captain Marvel. 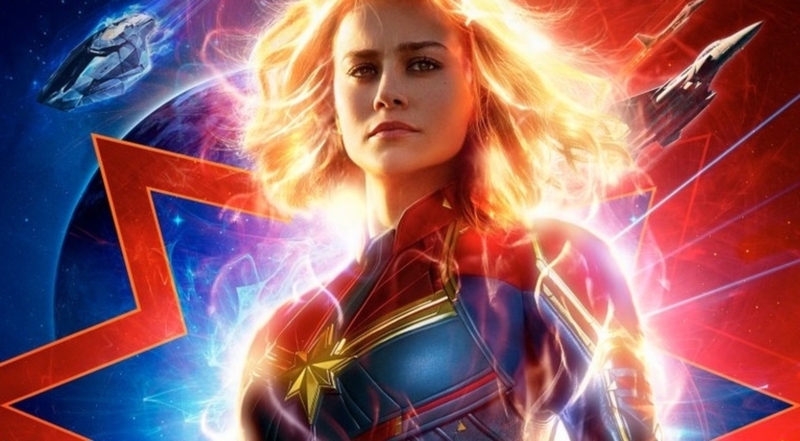 A luminous new poster for Captain Marvel has dropped, just in time for the second trailer which debuts later tonight. The first thing you can't help but notice are the eye-popping colors; this thing looks amazing. Here's hoping all of that cosmic energy looks half as cool in the actual movie. Look closer and you'll see the image also plays to Carol Danvers' divided roots as a Kree/human hybrid. On half we see Air Force fighter jets, and on the other alien spacecraft possibly belonging to the Kree. Since the shapeshifting Skrulls are also involved they could belong to them, I suppose. Here is the prequel film's official synopsis: Set in the 1990s, Marvel Studios’ “Captain Marvel” is an all-new adventure from a previously unseen period in the history of the Marvel Cinematic Universe that follows the journey of Carol Danvers as she becomes one of the universe’s most powerful heroes. While a galactic war between two alien races reaches Earth, Danvers finds herself and a small cadre of allies at the center of the maelstrom. 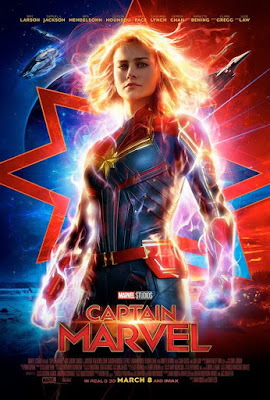 Co-directed by Anna Boden and Ryan Fleck, Captain Marvel opens March 8th 2019.